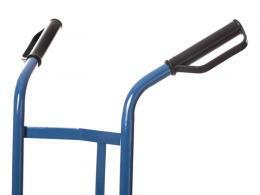 What are the advantages of the 200kg Sack Truck? Whether you need the 200kg Sack Truck to transport large, heavy goods from A to B, or you need to stack up your truck with numerous items if you are making a delivery, this specific sack truck is designed to help you do so as easily as possible. 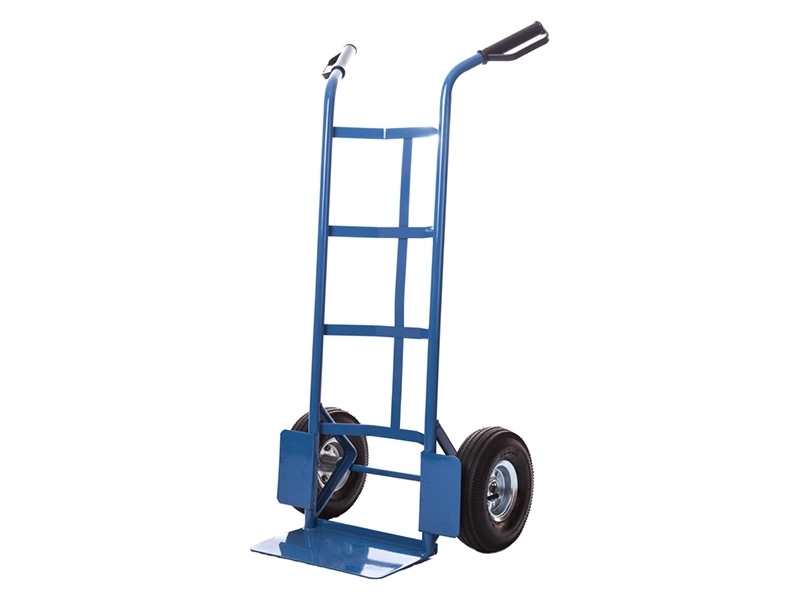 This heavy duty sack truck has plastic hand grips and rubber wheels, making it useful for a number of people, such as delivery drivers and warehouse workers. Where can a 200kg steel Sack Truck be used? 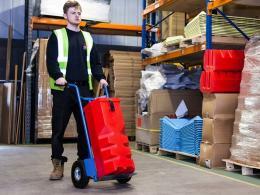 This sack truck can be used in a number of places, for a number of uses. 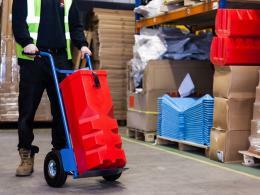 From airports to train stations, warehouses to supermarkets or even making deliveries, the capacity and size of the sack truck is perfect for moving large products such as boxed items, suitcases and bags over short distances. The size of the sack truck ensures that it is easy to stow away when not in use. The simple plastic grip ensures functional integrity while maintaining strict ergonomic standards. The product is ideal for large as well as small items because of the centre rear strap that prevents smaller parcels from falling out when being transported. 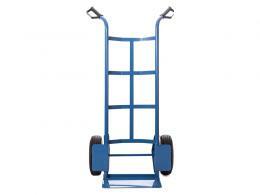 This product can carry a maximum load of 200kg. Its 600mm-wide body means that large items can be carried easily – without the risk of toppling over and being damaged. 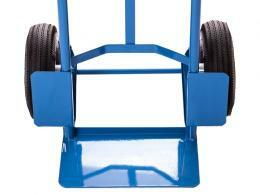 This sack truck comes in a standard height of 1120mm, has a footplate depth of 195mm and an overall width of 600mm. The wheels feature pneumatic rubber tyres to provide adequate cushioning for impact absorption; in addition, protector plates between the wheels and the footplate ensure that the wheels don’t rub against larger items at the bottom of a load and possibly damage them or snag loose ends of ropes, twine, etc. The ergonomically designed plastic grip and the sloping handle also provide maximum grip and comfort. 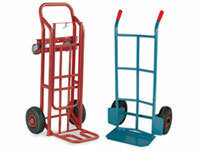 This product may also be referred to as a Sack Barrow, or Sack Trolley.